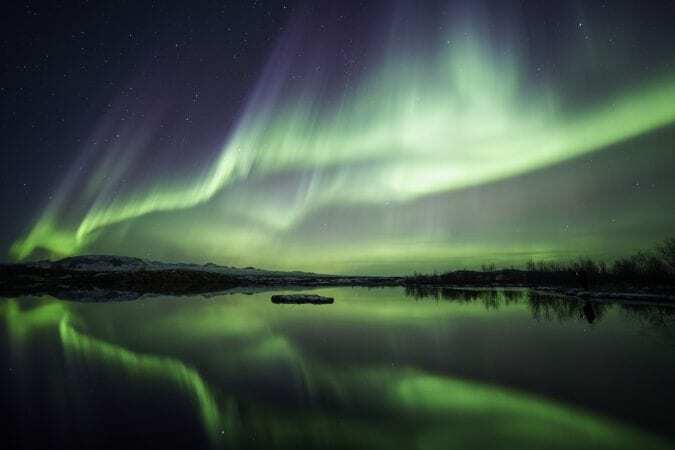 Enjoy the hunt for the northern lights on a deluxe tour on a minibus. On the deluxe tour, we limit the group size to no more than 18 passengers on a small coach. Warm blankets are aboard the minibus and a tripod that passengers may use for better pictures. We bring along Icelandic pastries and warm drinks to get a bit of warmth into our people during the cold night. Advise your costumers to dress extremely well, preferably in layers. After the tour, we drive our passenger back to their hotel. Guidance in English. Pick up and Departures: 21:00 when condition allow from September to April. Please note: Pick up from accommodation in Reykjavik starts 30 minutes before departure.